It’s easy to use as one, two, three. 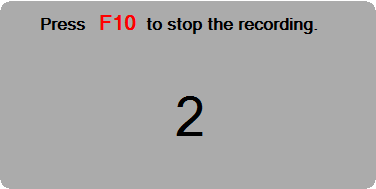 Set up the area to record, start, make your demonstration and stop. Buy Camtica now and start recording professional screen recordings, presentations, tutorials and more now! 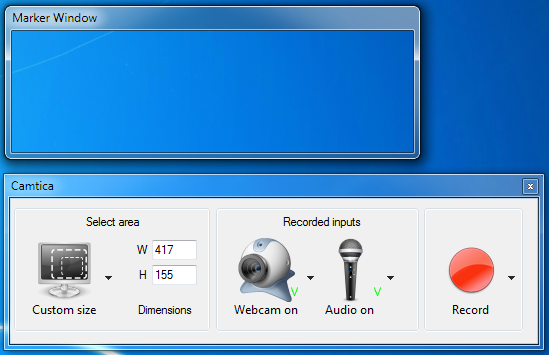 In audio options menu you can select audio device which will be used in recoding. You can also enable or disable audio input. In recoding options select output format WMV or AVI with all codecs available. You can enable resize captured video mode and your final video will be converted to selected resolution. In misc panel you can choose Frames Per Second (FPS) recording mode and hotkey you will press when you want to stop recording. You can also stop recording by pressing stop button. This form is located in tray while video is being recorder. Choose Full screen mode in select area dropdown menu and press Record button. Choose Custom size mode in select area dropdown menu. Then Marker Window will appear. Select the region on the screen you want to record (application, menu, even Skype video call menu to record video of your opponent and audio), then press Record button. Choose Around mouse mode in select area dropdown menu. Then Marker Window will appear. 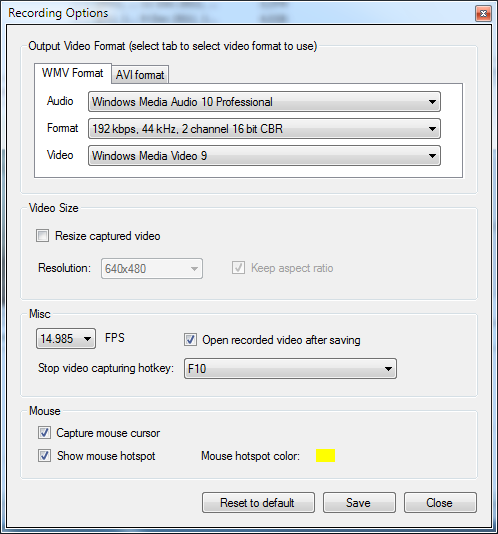 Stretch the region to any size you want to make recoding around mouse, then press Record button. You may move mouse everywhere on the screen and only the area around mouse will be recorded. 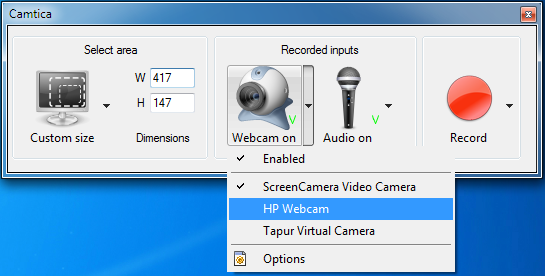 This mode allows you to record webcam only. 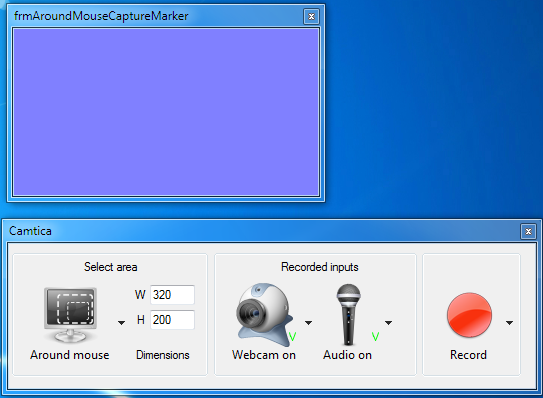 When you select this mode the webcam preview window will appear. Stretch this window to any size you wish. The recorded video will be selected size.